Synetrim® Slim is a natural, all-in-1, multi-action weight management formula which contains clinically researched Synetrim® , a powerful patented ingredient, plus four other trusted and well-known weight management ingredients; Green Tea, decaffeinated Green Coffee Bean, Chromium and Iodine. 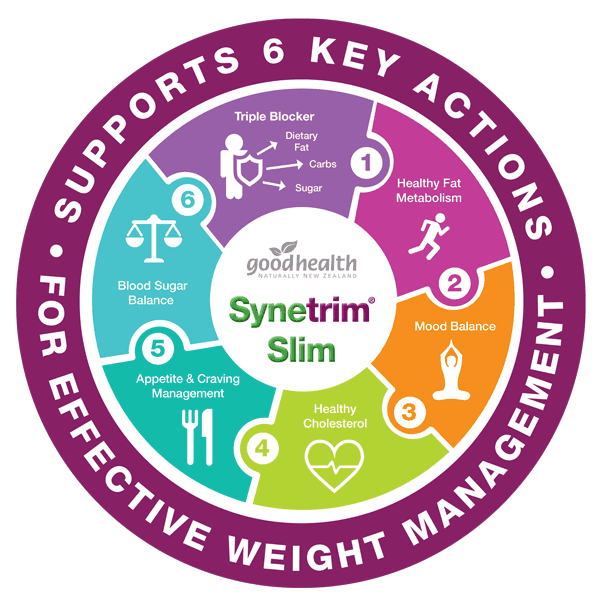 Synetrim® Slim supports 6 key actions for effective weight management. Synetrim® CQ, Green Tea, decaffeinated Green Coffee Bean, Chromium and Iodine.